Hesitating to tell this story, I do so with both caution and disappointment. Multiple state attorney generals caution about watching for "deals that sound too good" on computer. Most caution about computer/telephone solicitation too. Here, I lost no funds, but a lot of investigative time, after an apparent heads up. You'll recall my articles on the rise of robots. Would you try-buy one for a buck as a "sample?" Website Alibaba.com has a vast inventory of items for purchase or resale. It's like a Chinese version of Amazon and/or Ebay --- the latter due to instructions that nearly all prices are negotiable. The site offers a week of 11/11 "specials" for 50% off and free shipping. It purports to offer "free samples" subject to qualified buyer pay shipping on first purchase and/or a refund after first purchase. HNN confirmed these with a customer service representative prior to the incident. Searching for a "free shipping" special, we found a potential "robot" model. But, the sites are not regularly updated and edited. Some inconsistencies appear. 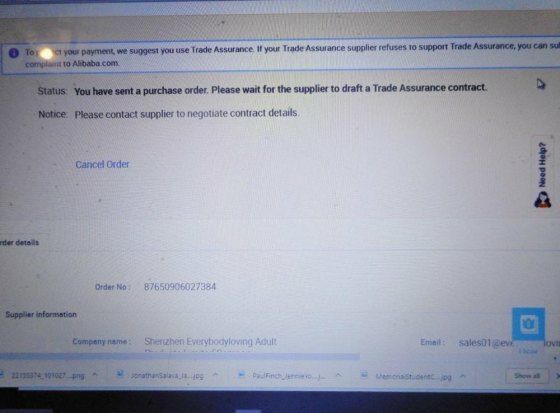 Further complicating the "offer," Alibaba often recruits US "agents" to resell its goods. But, individuals deal with specific manufacturers for which Alibaba provides free web space. Scanning offers for "free shipping", one seemed inconsistent. A "puppet" styled "robot/doll" had been offered previously. 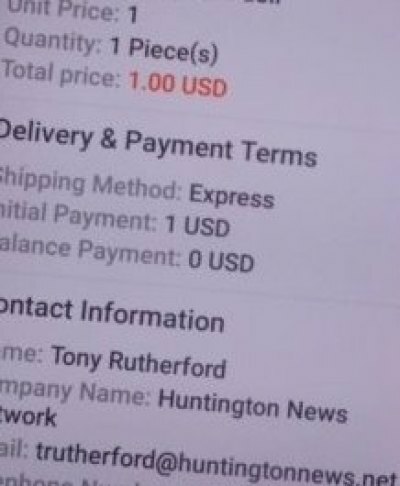 What the site had done... they had a $500 offer (pay shipping) or a $800 (free shipping offer). However, upon preparing to configure customization aspects, he said the cost was over $700.It was a mistake. It had been rejected. Whether or not the "free" sample was a gimmick to bait and switch...o whether the $1 amount was a "glitch," well, its unknown. However, the site has a mixed reputation. If you purchase, you must do your homework. Actually, you should do a research paper and document everything in case you fall prey. As for the "robot/model," another manufacturer is willing to consider a product placement. They are interested in promoting uses such as for disabled, elderly, speech training, and , of course, a substitute companion for those singled or widowed. This model has a computer head that will connect to the internet and allegedly articulately speak allowing the bot to sing, give the weather, teach language, answer personal assistant type questions, or just be supportive. Will let you know how the negotiations turn out.